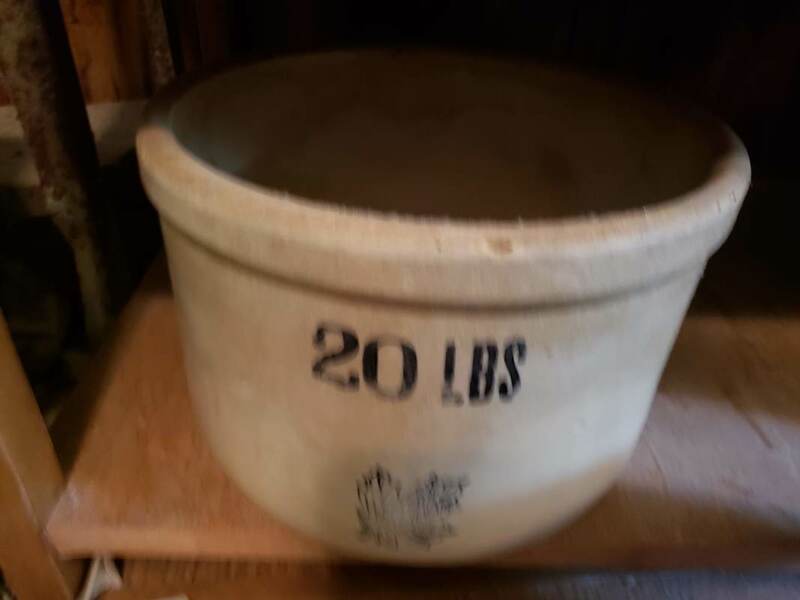 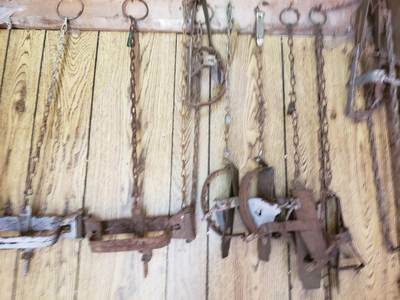 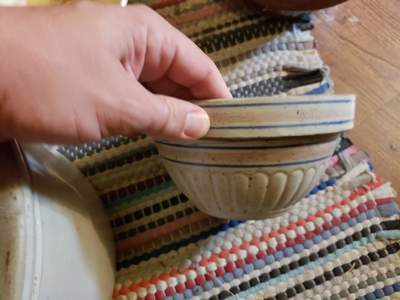 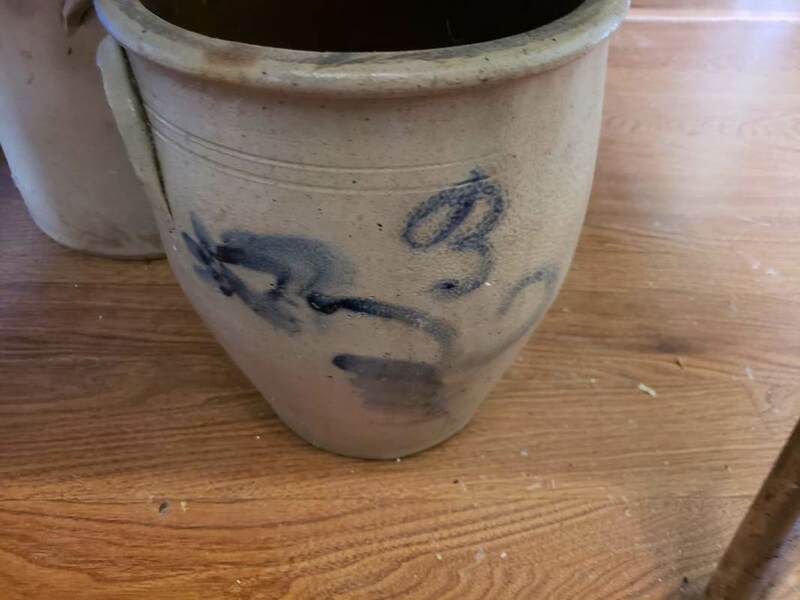 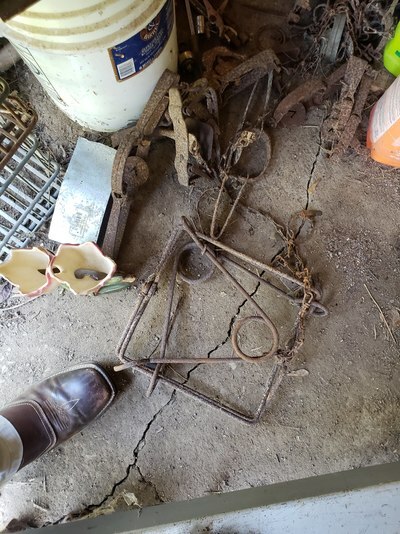 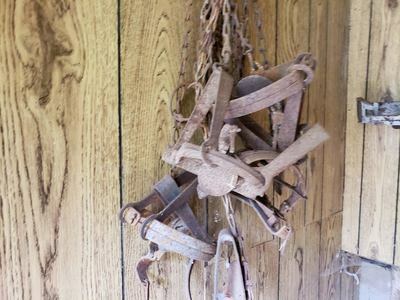 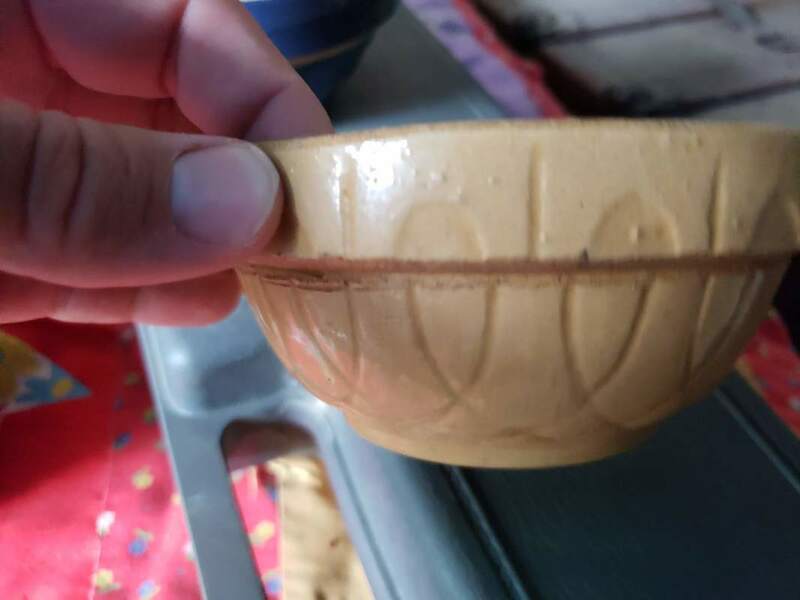 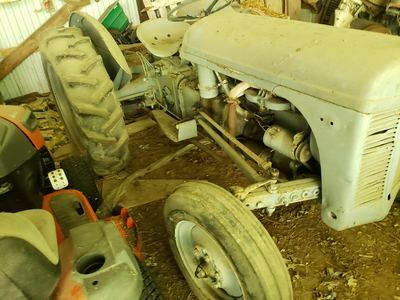 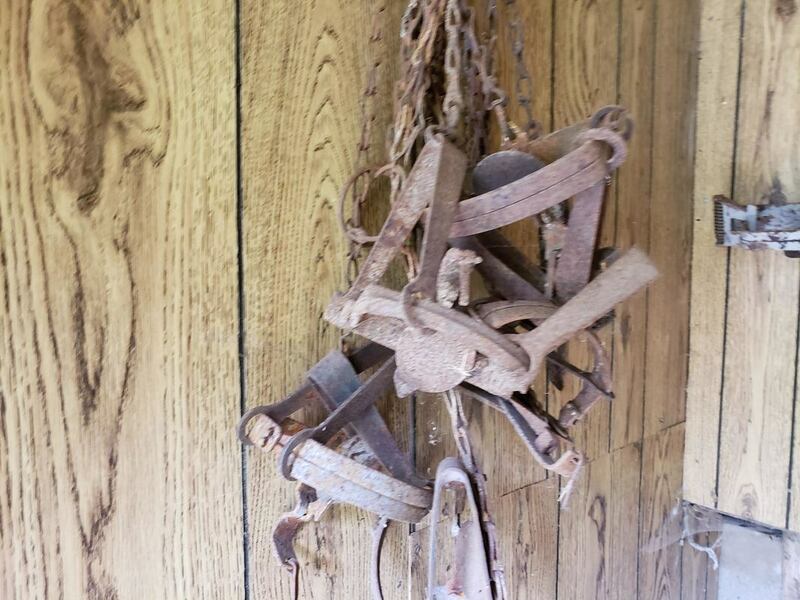 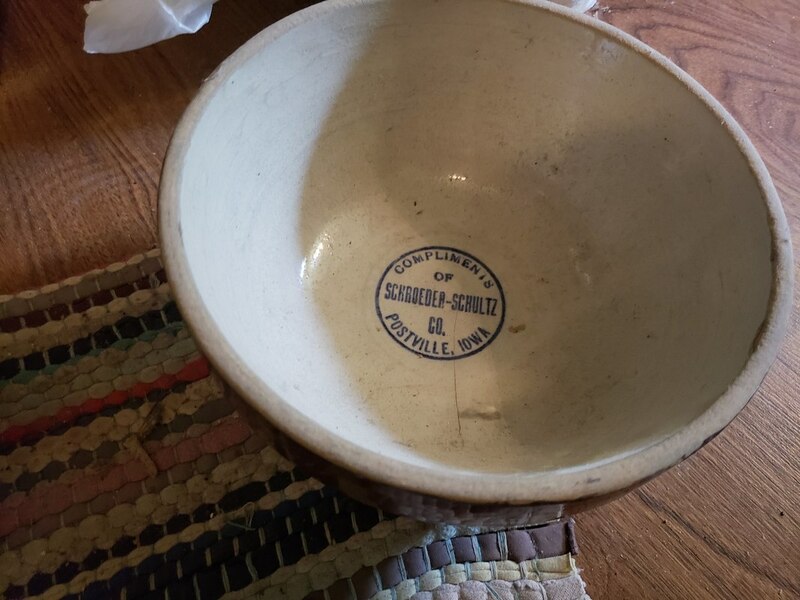 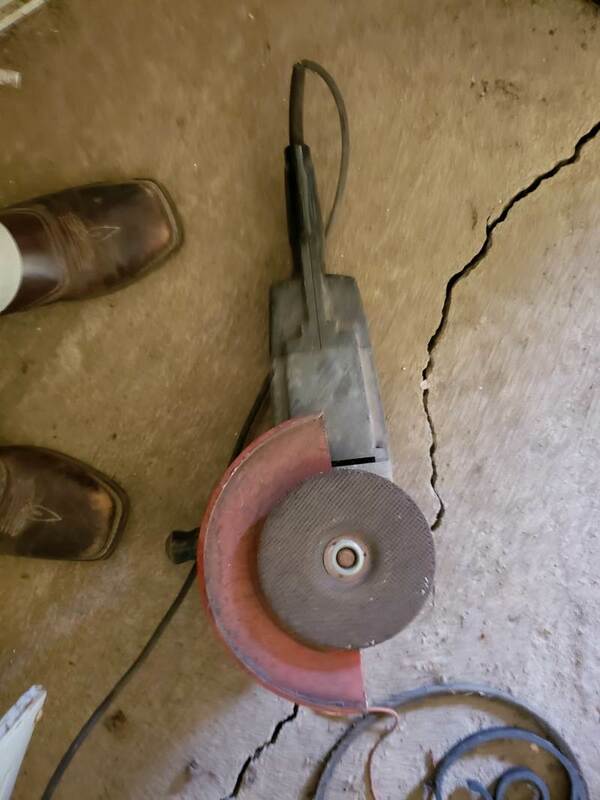 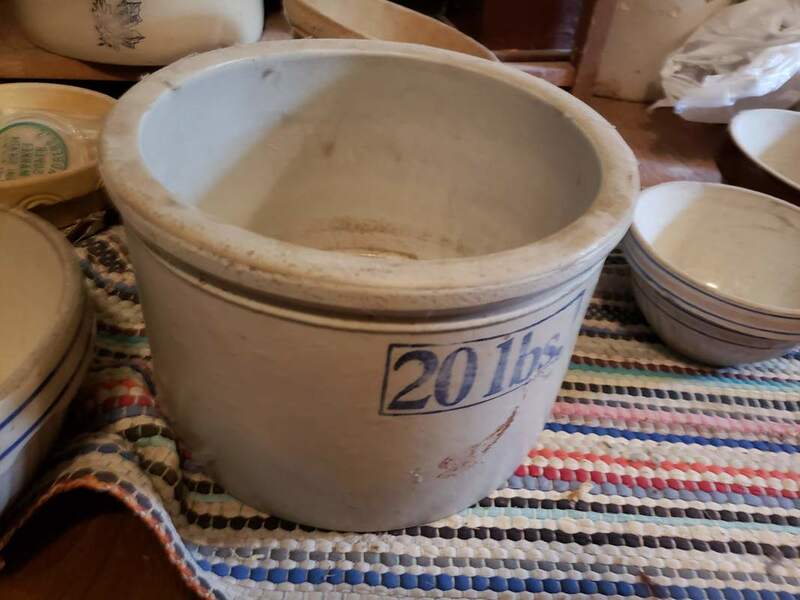 ​Crocks, Antique & Collectibles: 2 – 20 lb. 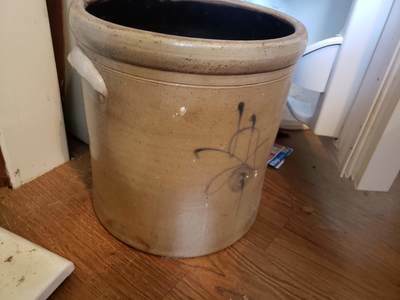 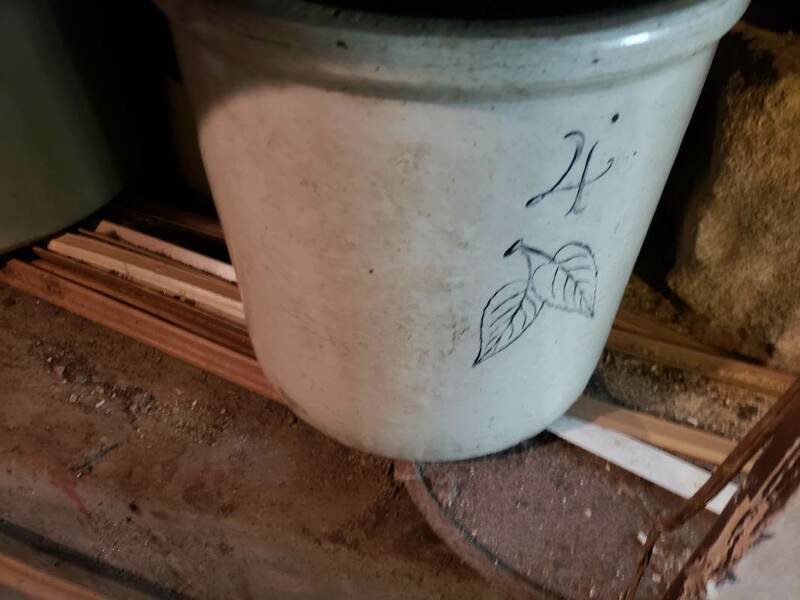 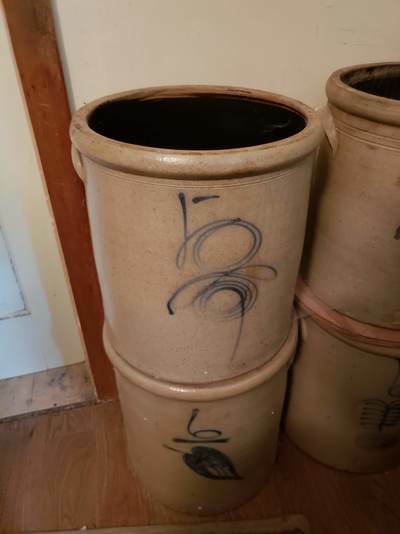 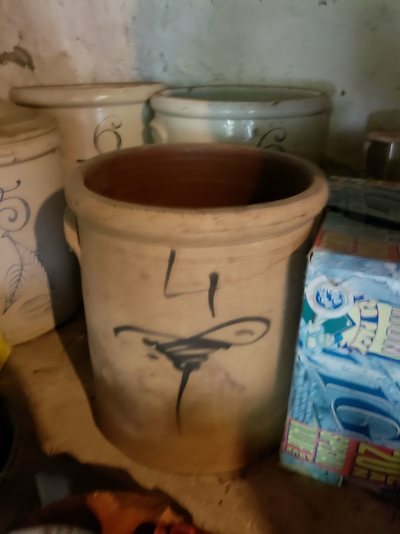 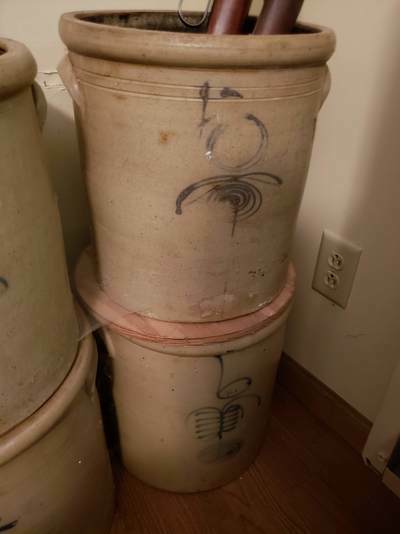 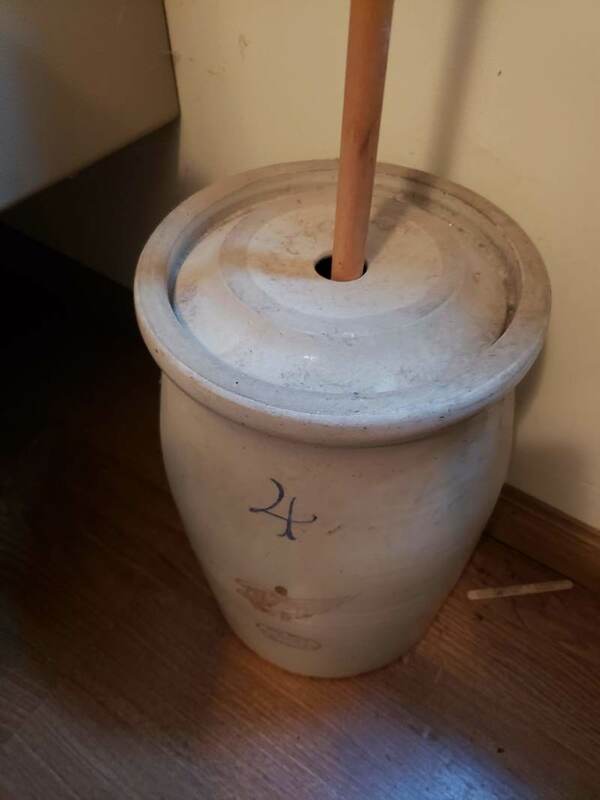 RW Butter jar, 25,20,15,10,8,6,5,4,3,&2 gallon RW Crocks; 10,8,6,and 5 gallon Birch Leaf Crocks, 20 gallon Elephant Ear Crock, 2,3,4,&5 gallon Elephant Ear Crock, 3 gallon RW Birch Leaf Churn, 4 Gallon RW churn, 20 Gallon western crock, 5 gallon RW water cooler, 3 & 4 gallon salt glaze crock, Elgin churn, No. 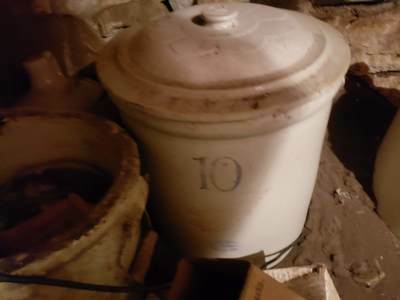 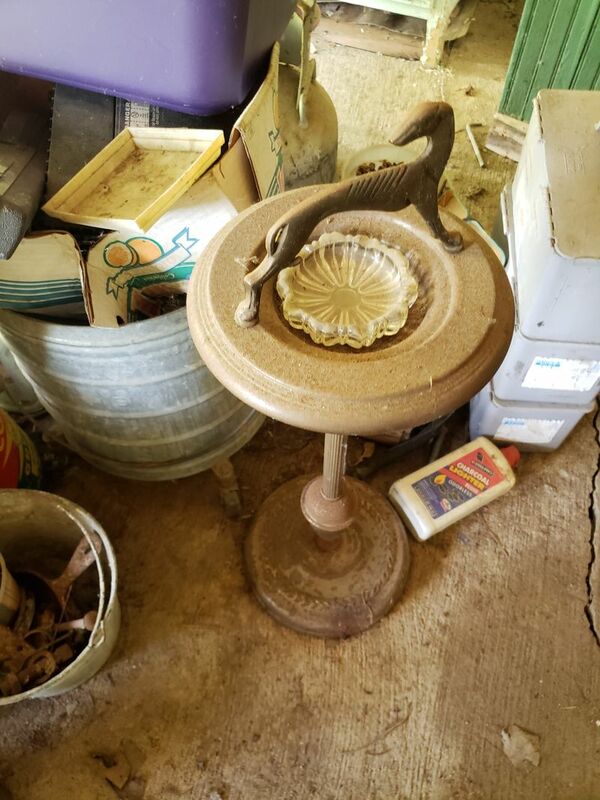 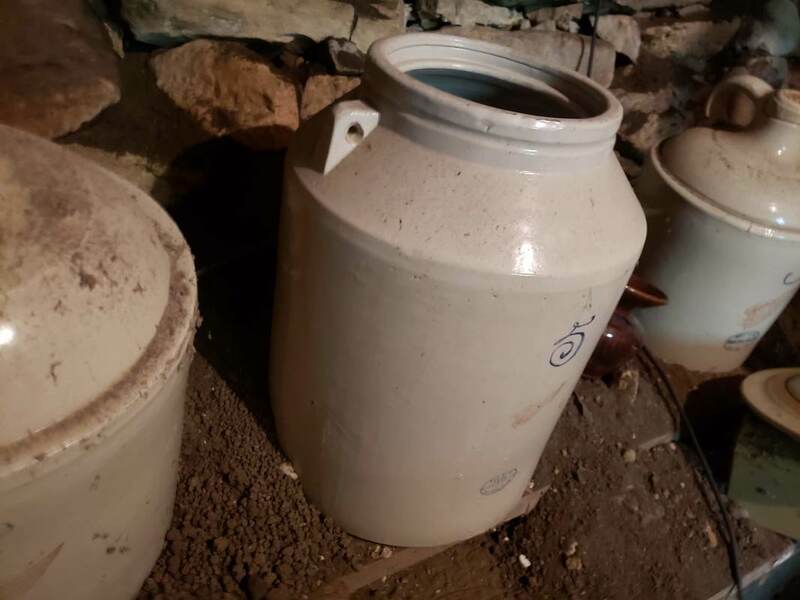 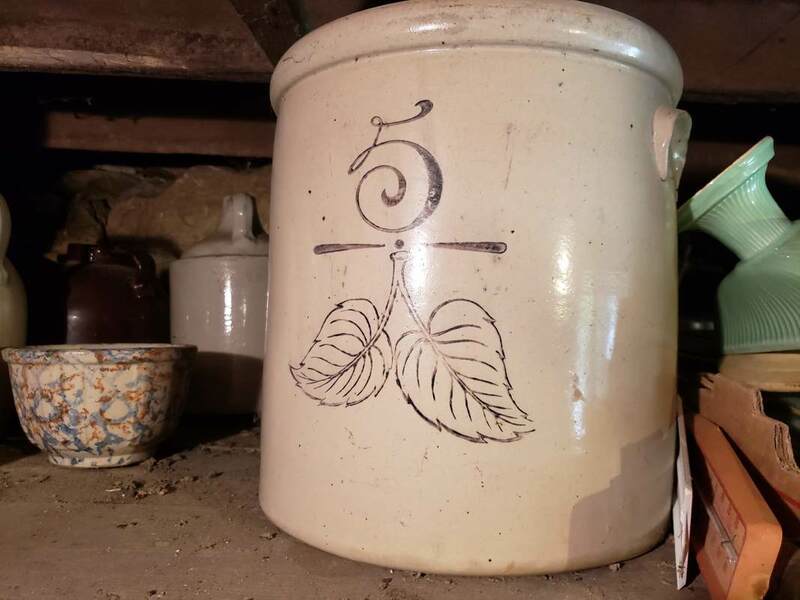 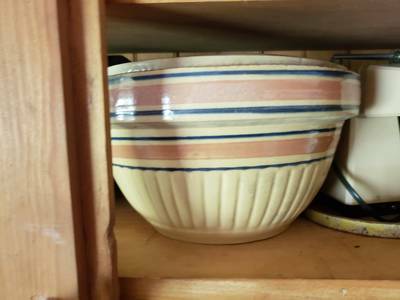 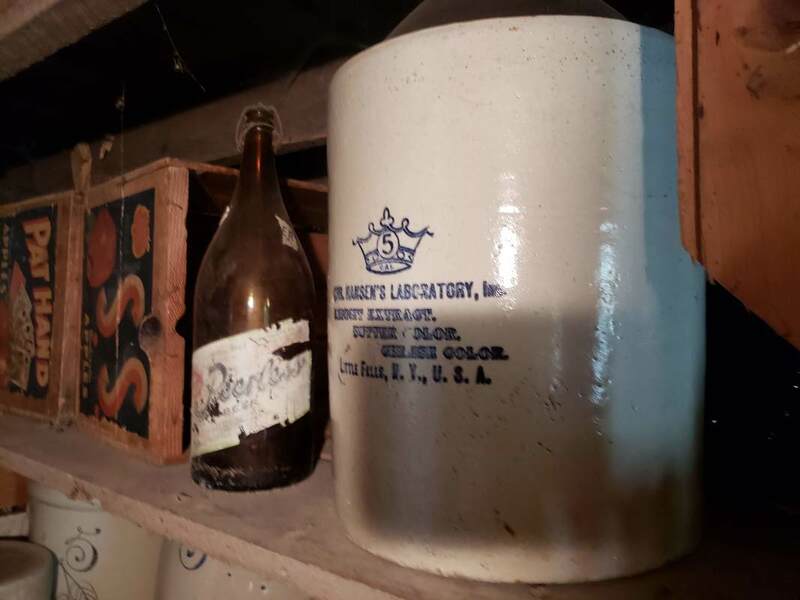 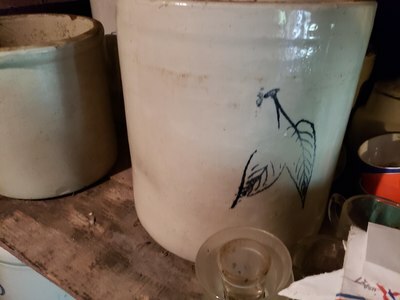 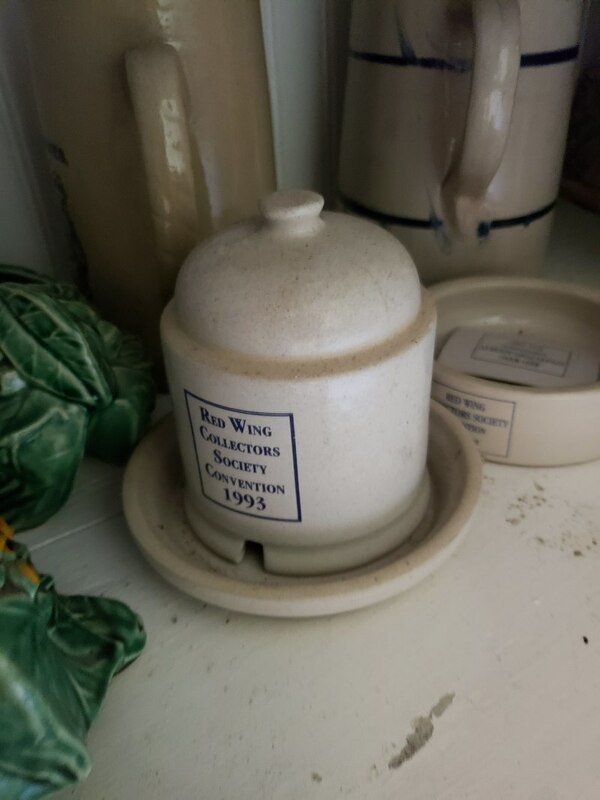 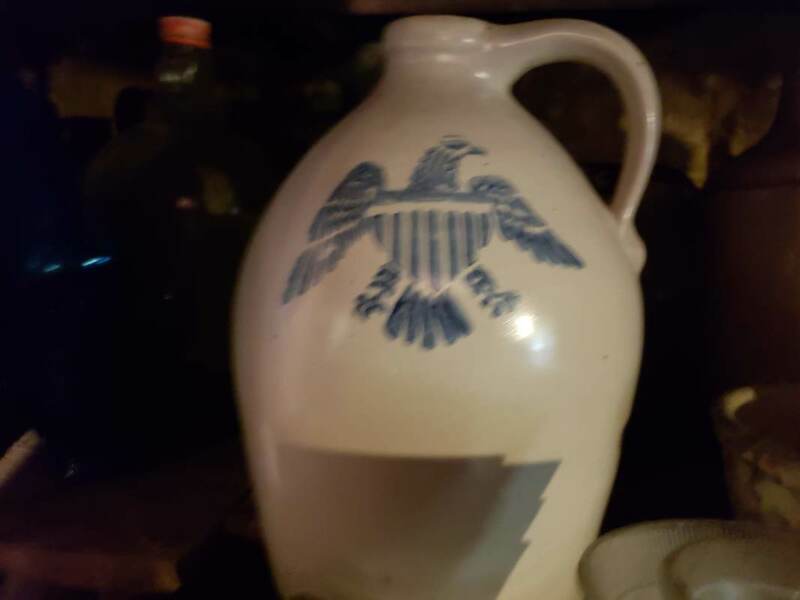 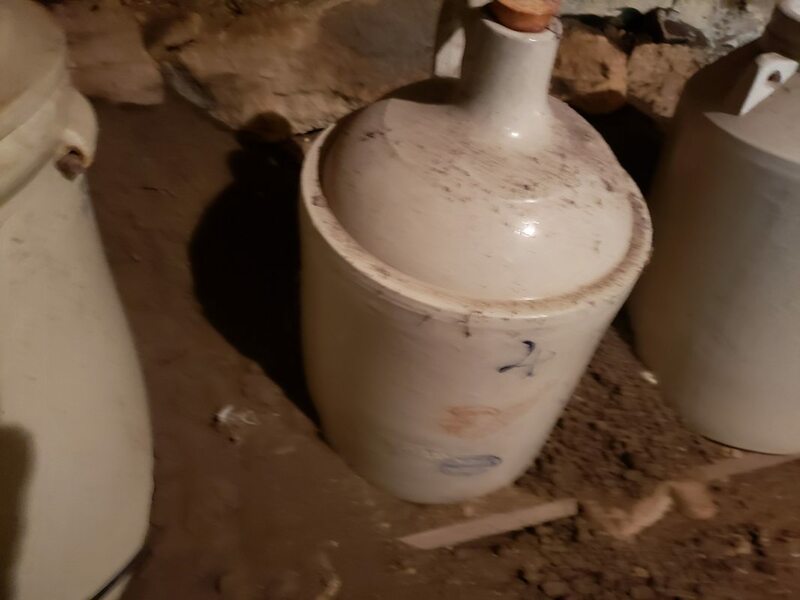 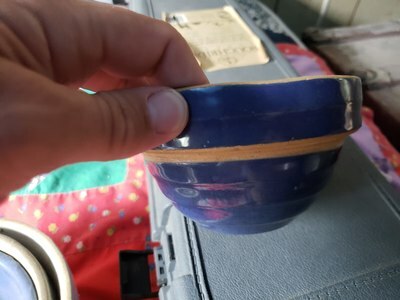 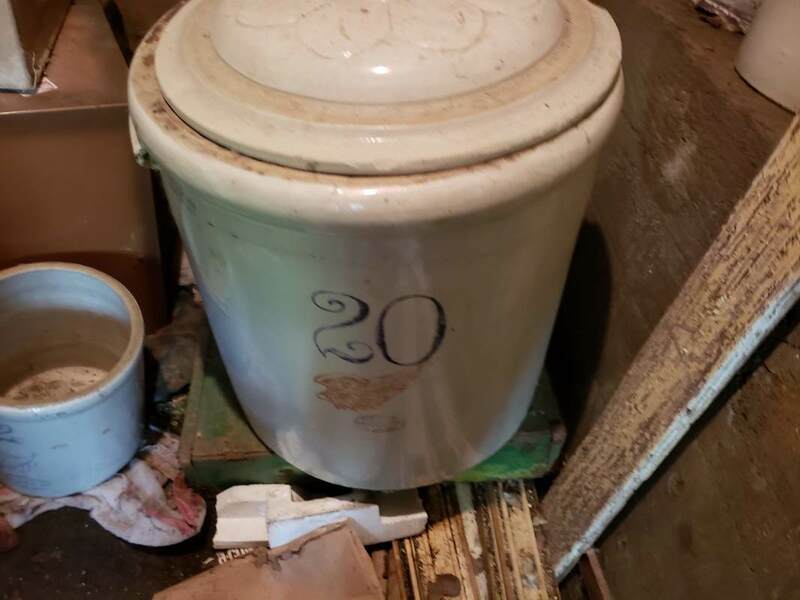 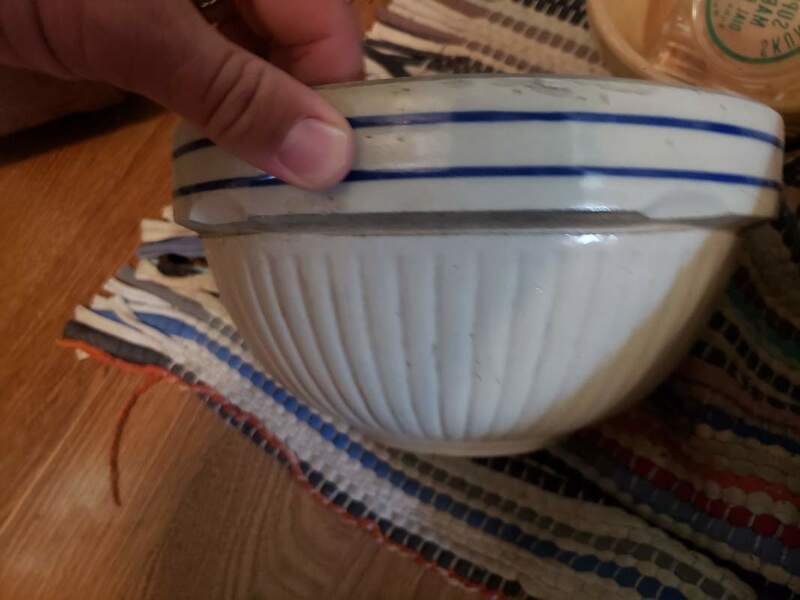 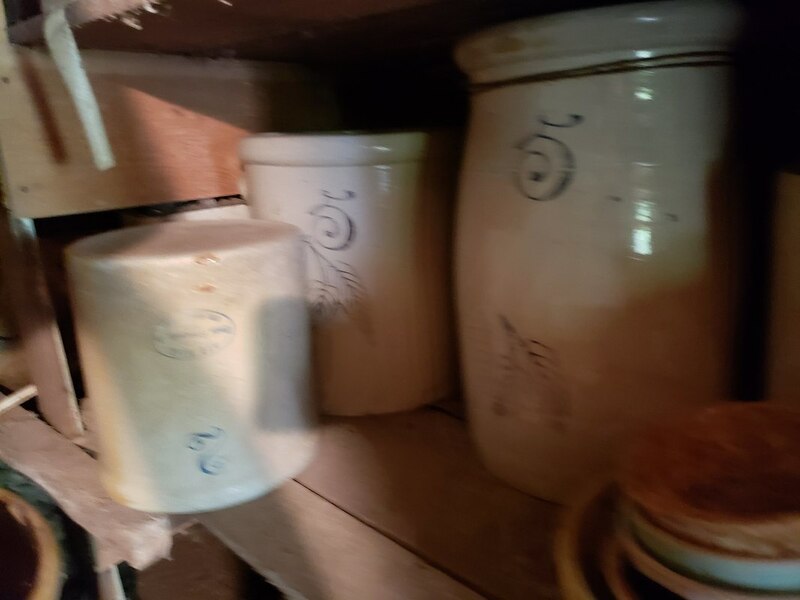 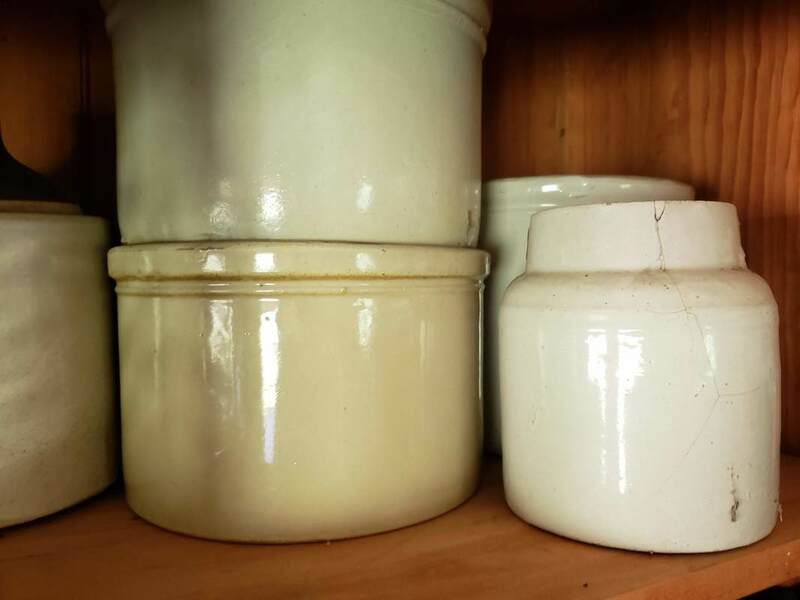 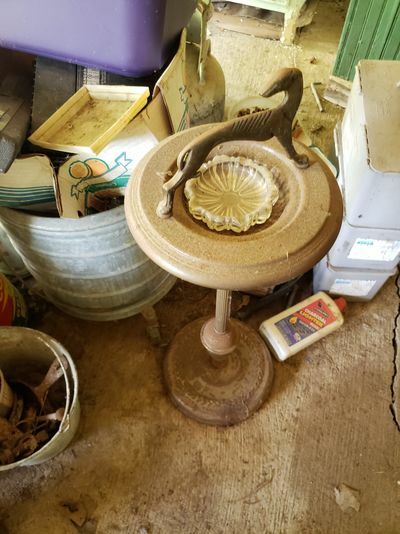 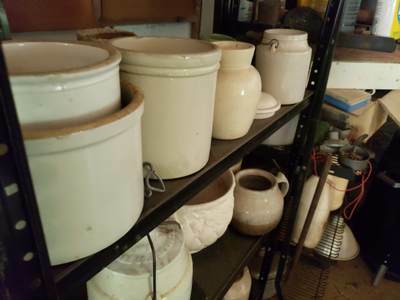 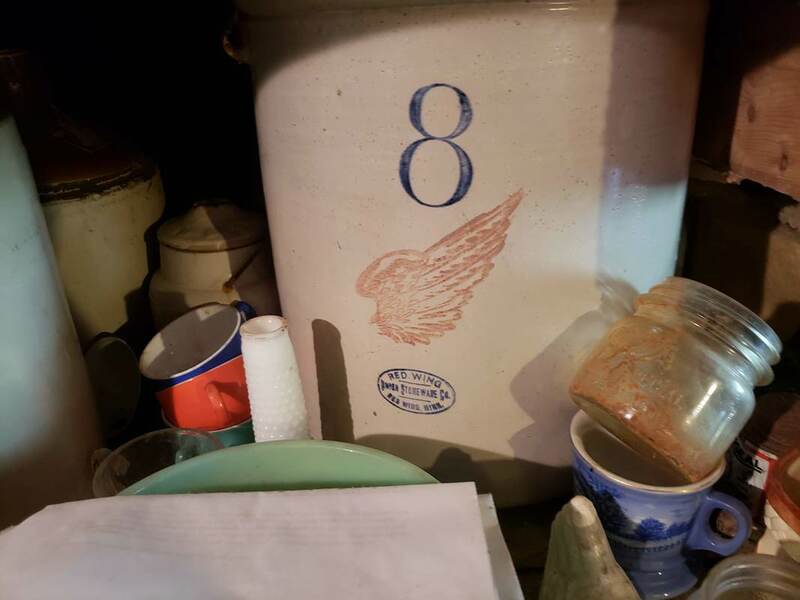 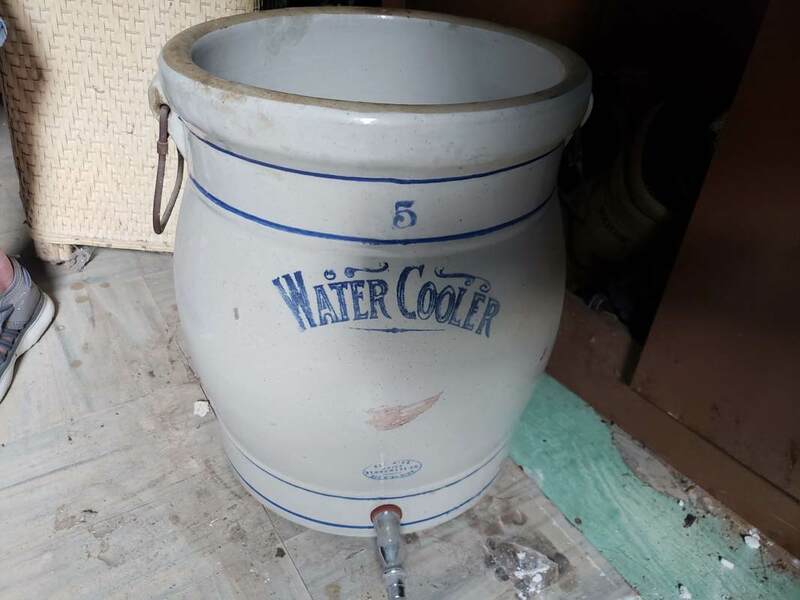 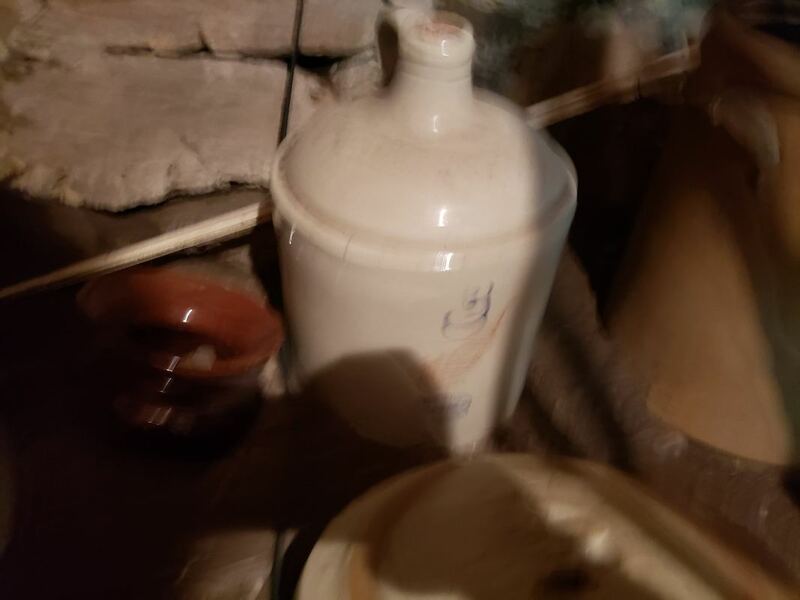 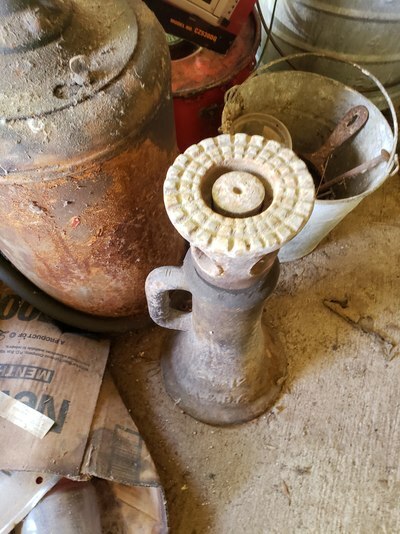 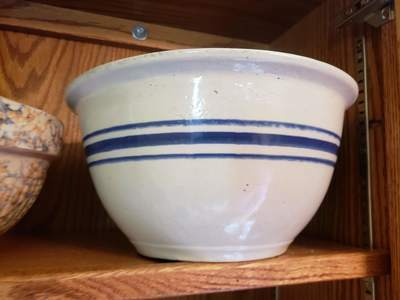 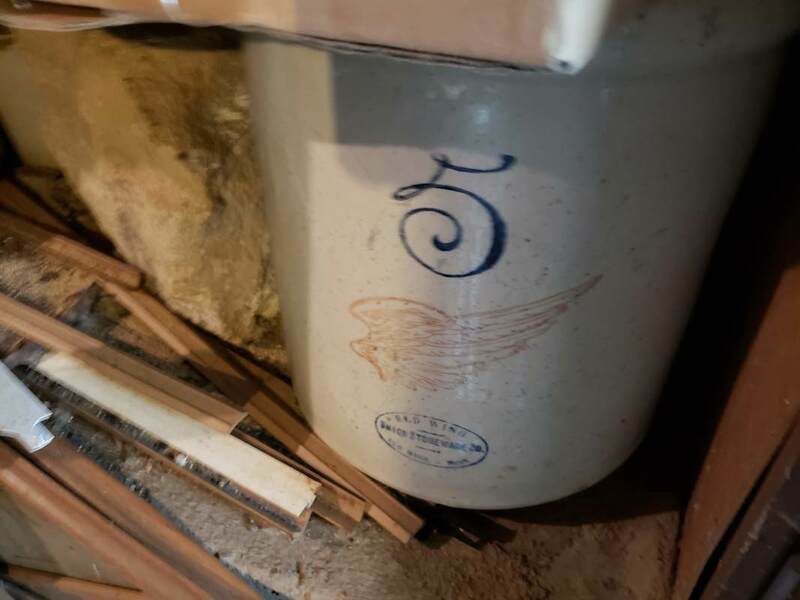 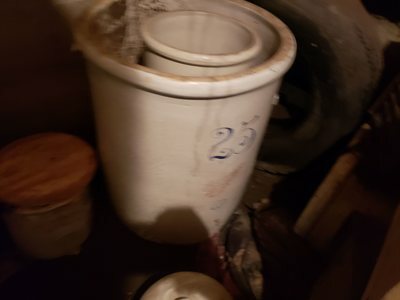 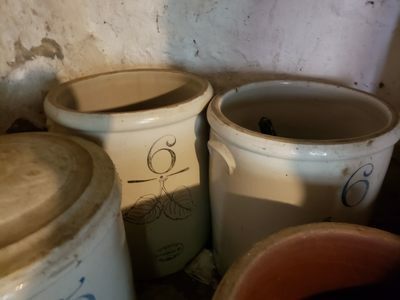 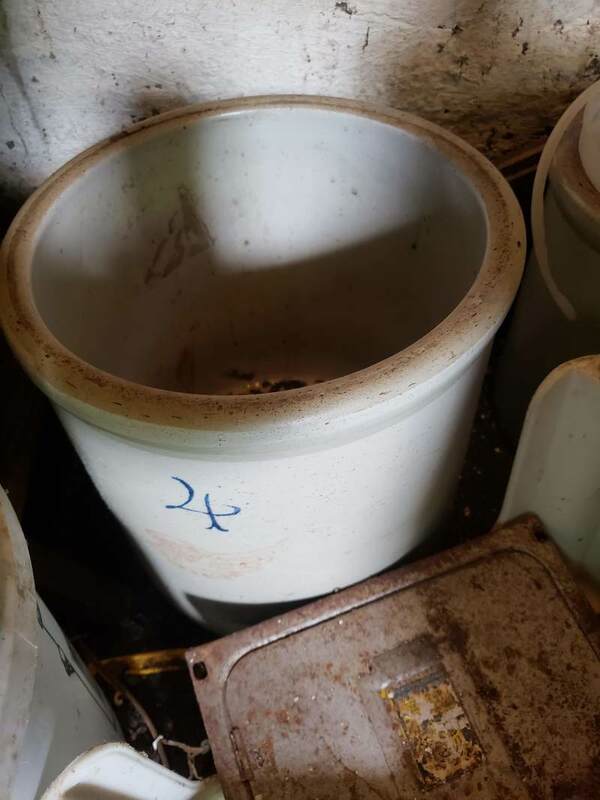 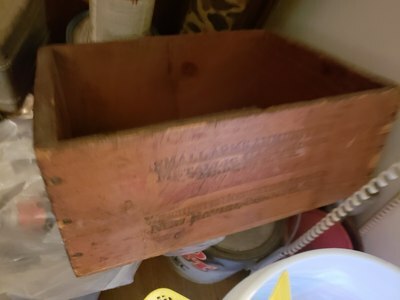 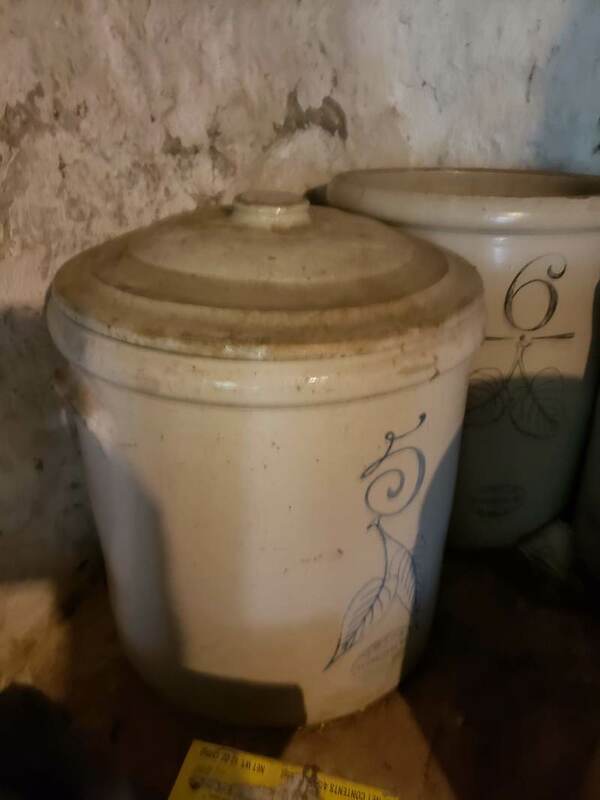 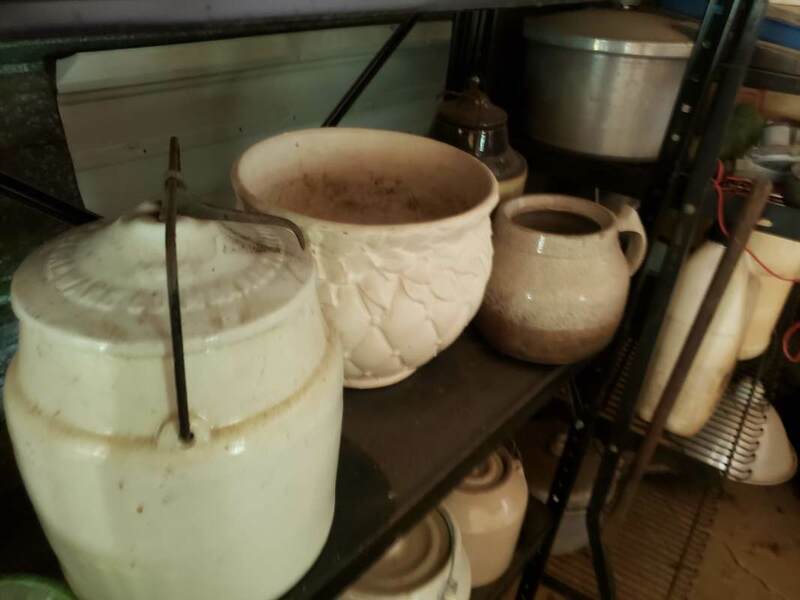 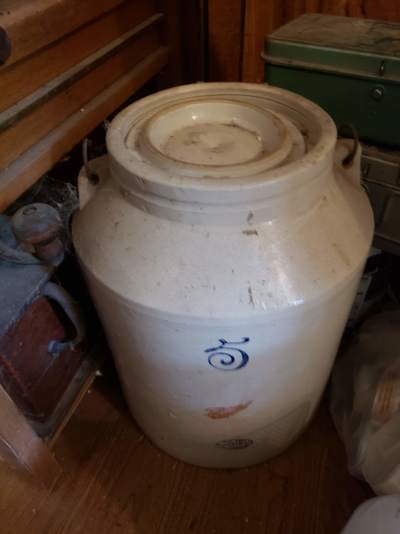 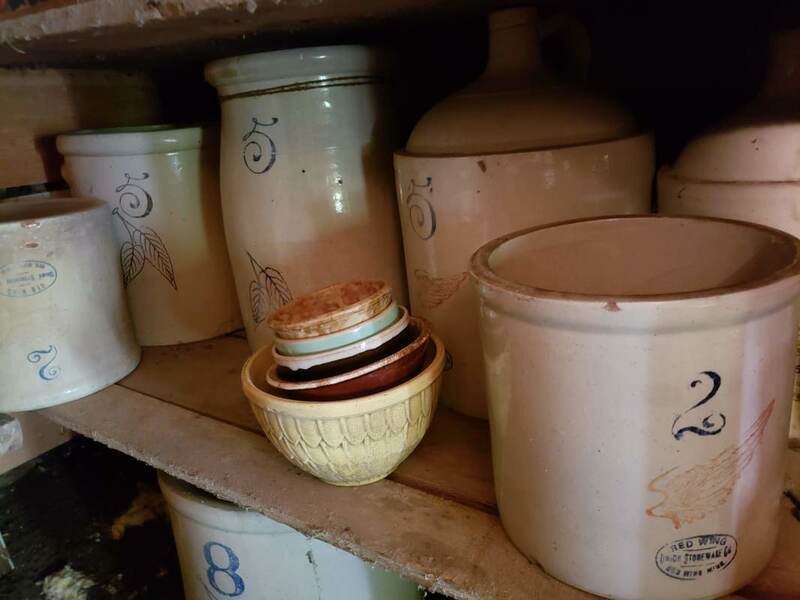 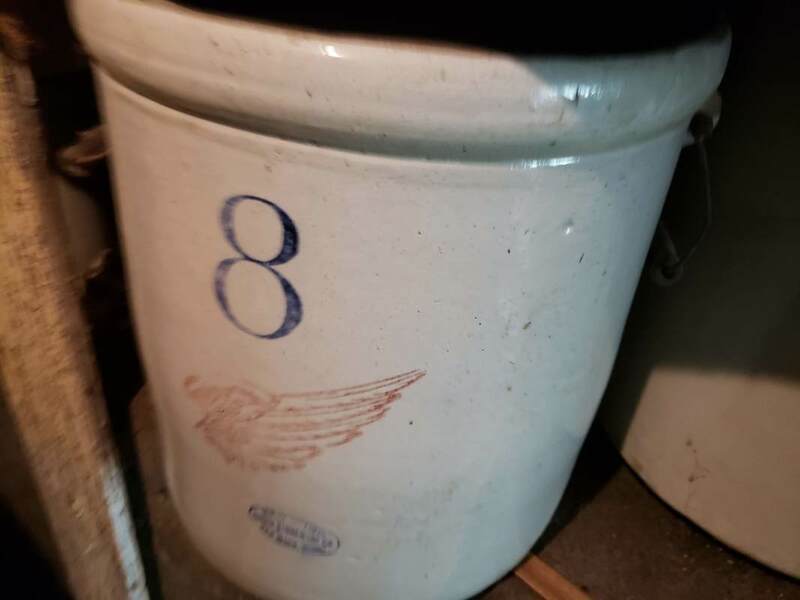 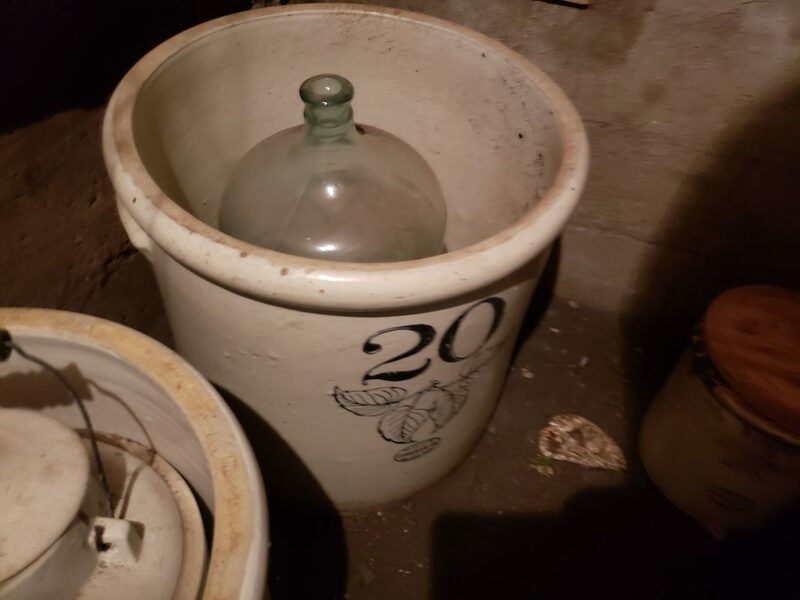 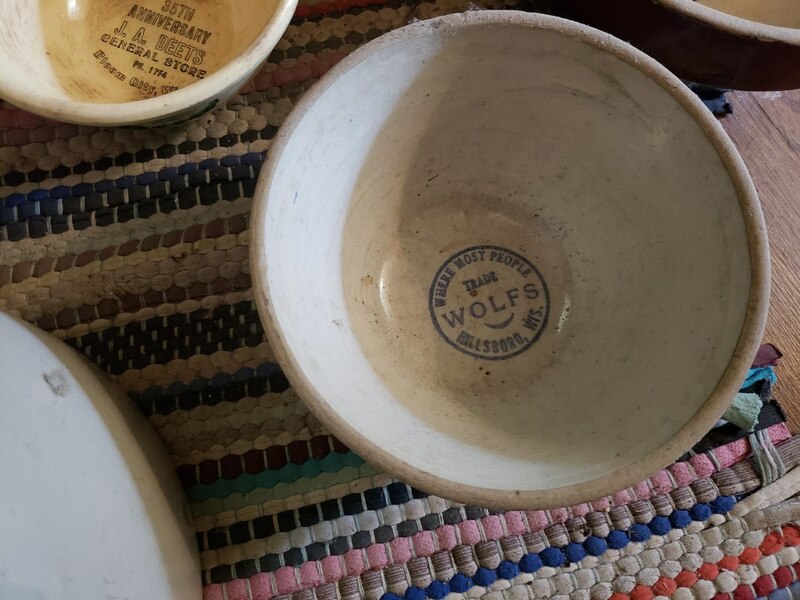 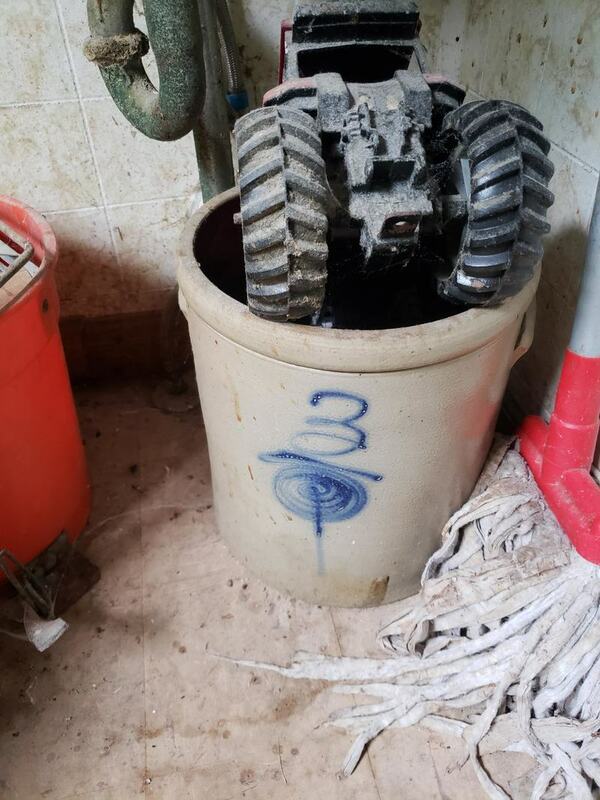 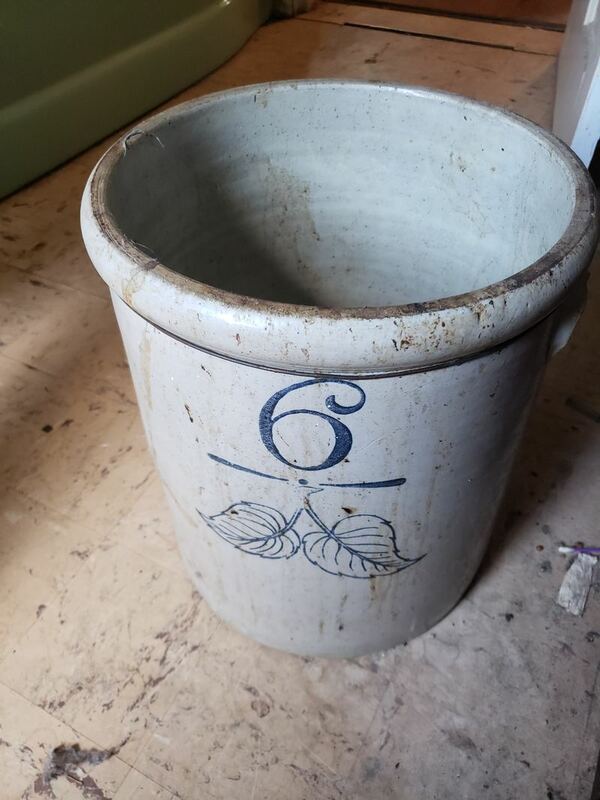 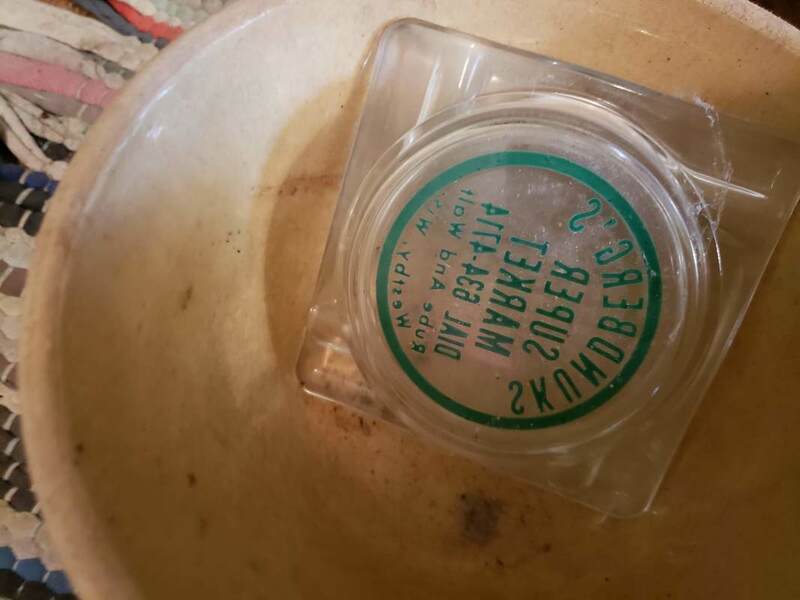 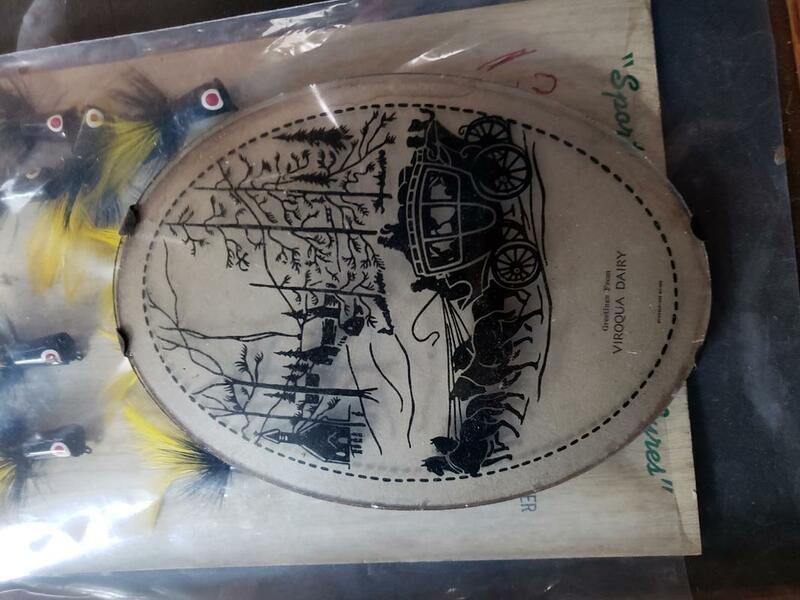 5, 19, 15 crock covers, 3 & 5 gallon RW jugs, 5 gallon crown jug w/ advertising, brown jugs, Minnesota RW crocks, 3 gallon bee hive, several crock bowls, sponge bowls, advertising crock bowls, RW commemoratives, chicken waterer and others, crocks and jugs, about 60-70 crocks, jugs and bowls. 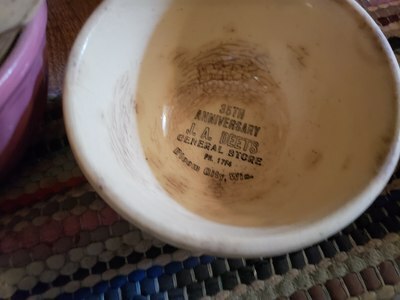 Coffee grinder, 1924 & 1927 calendar from Edwin Selen,General Store Esofea, misc. 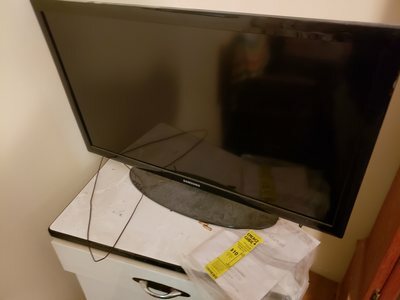 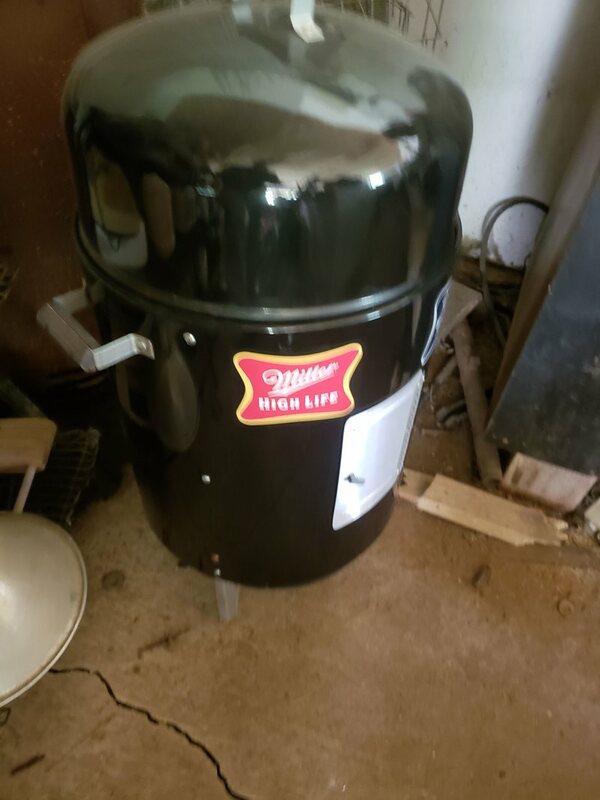 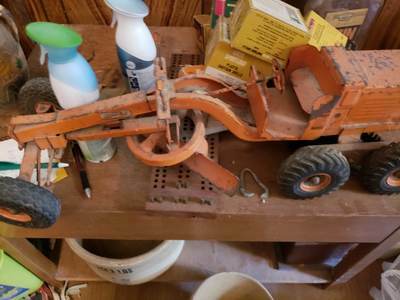 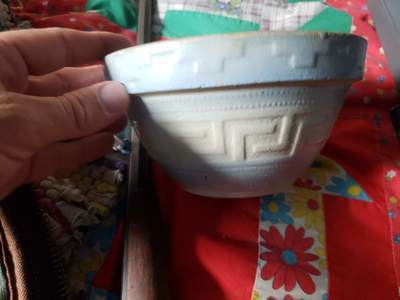 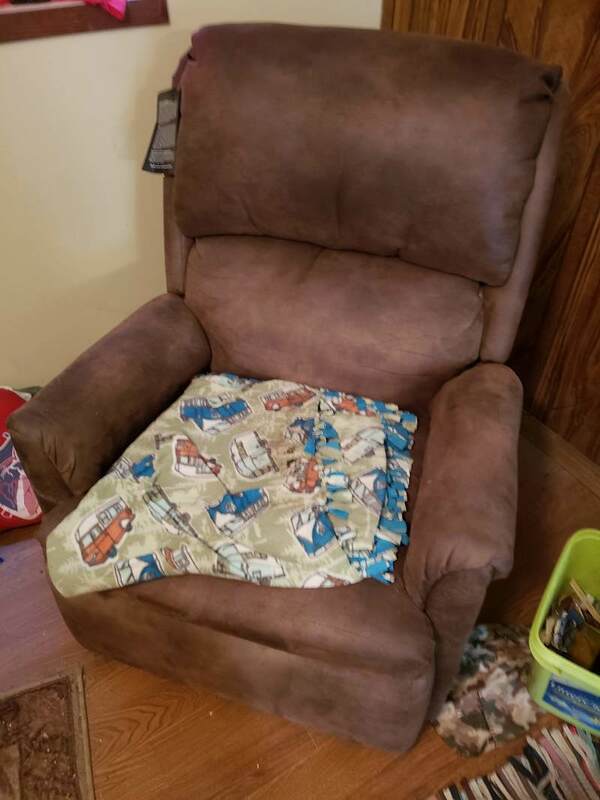 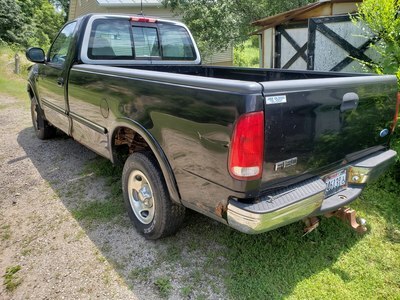 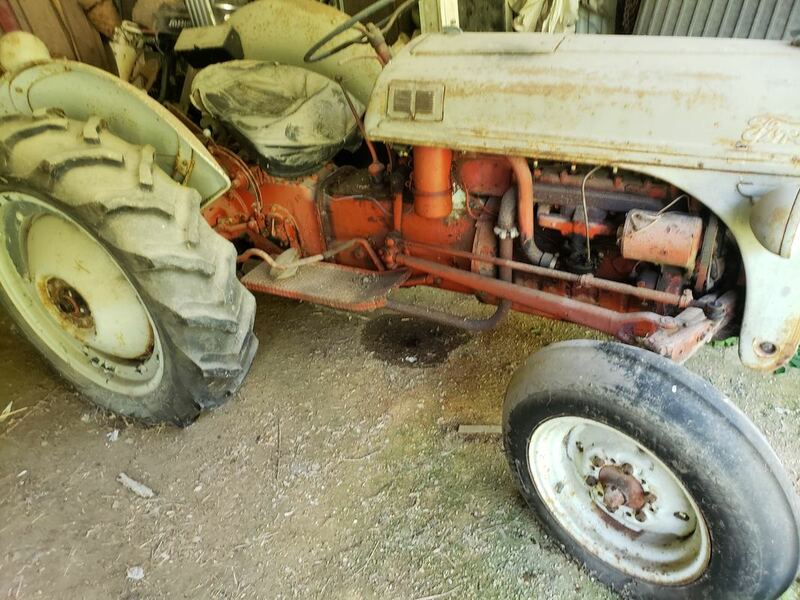 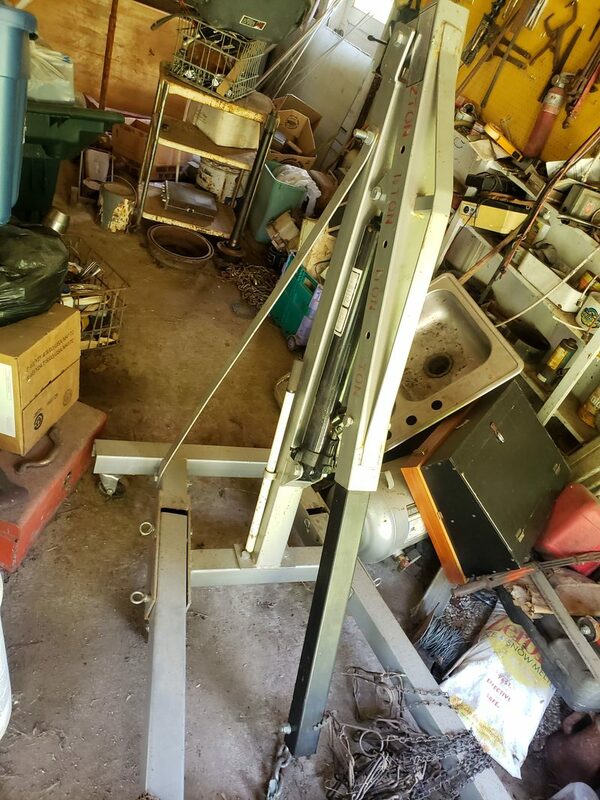 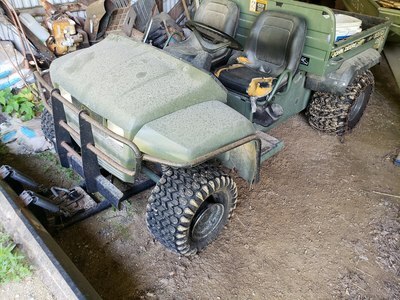 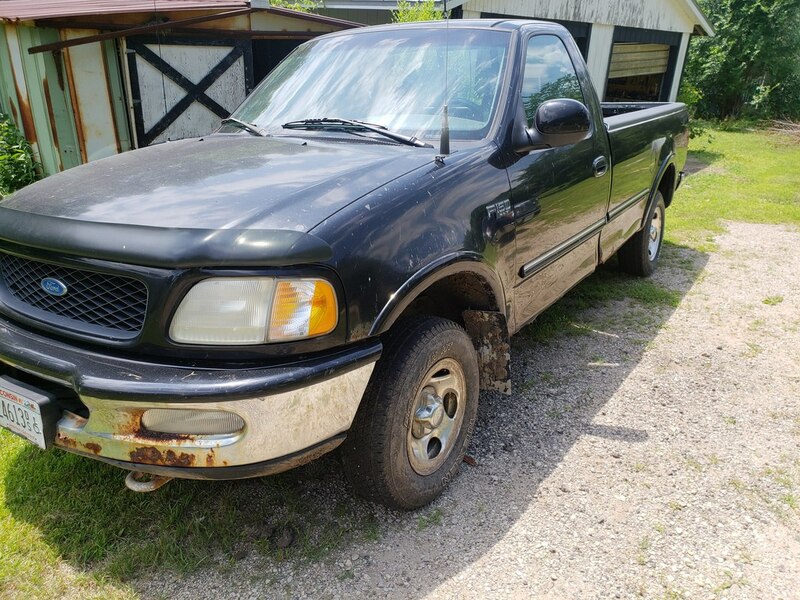 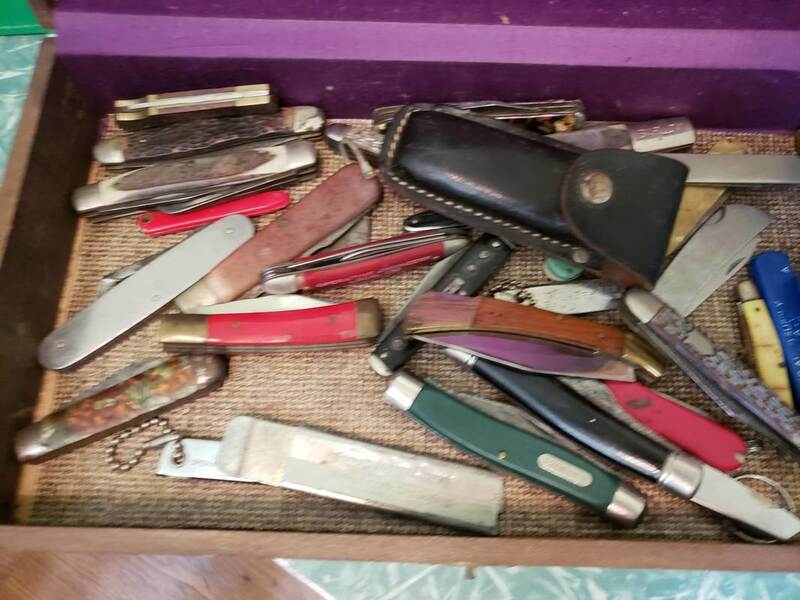 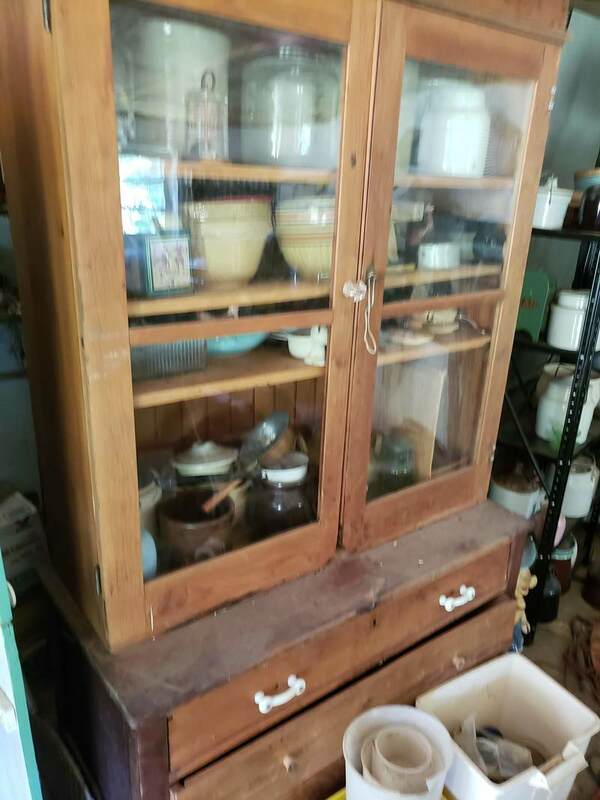 dishes of antique value, 2 piece cupboard, old kitchen cupboard, wains coat cupboard, table and chairs, peerless bottles,recliner, new smoker, round top trunk, small refrigerator, electric stove, toy grader, 19 in Samsung flat screen T.V., other misc. household items. 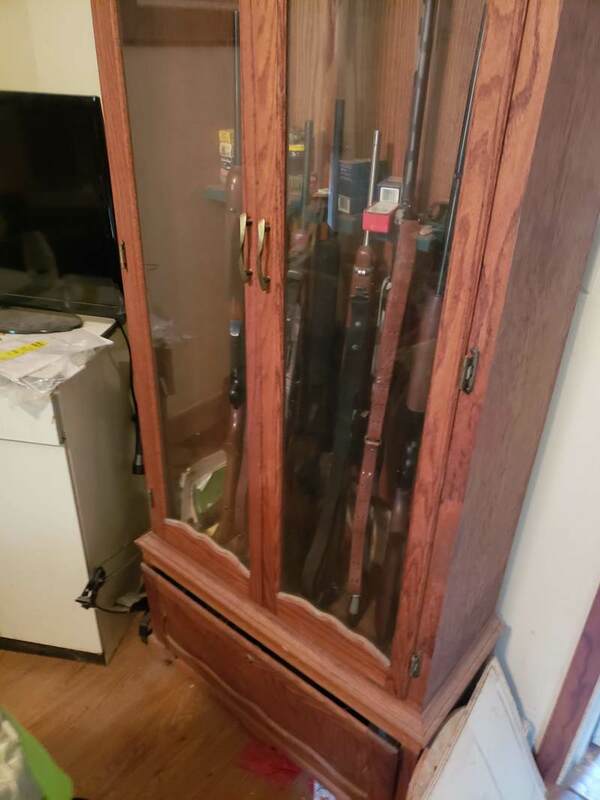 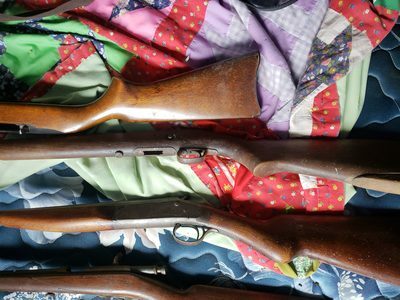 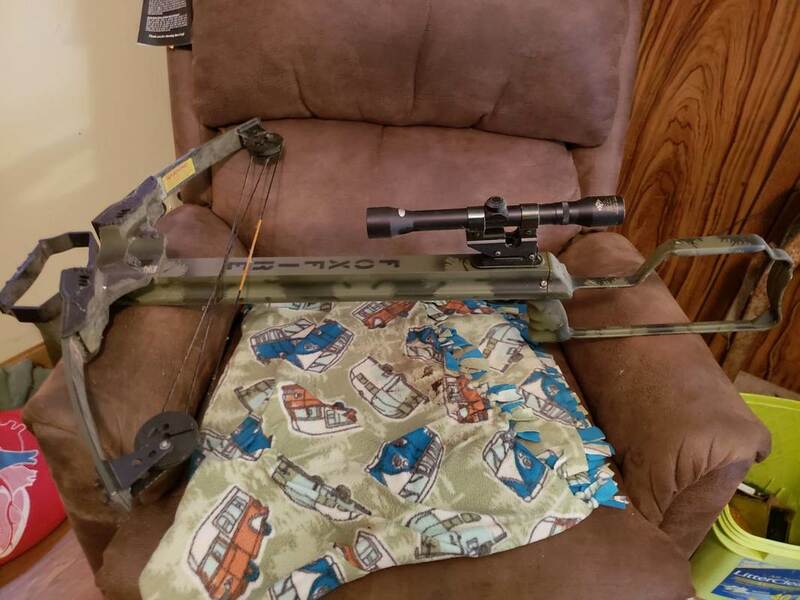 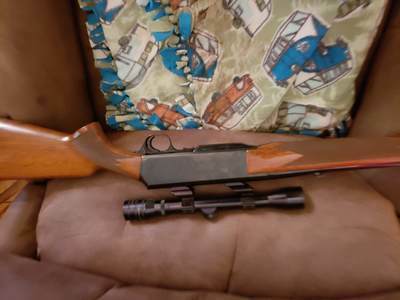 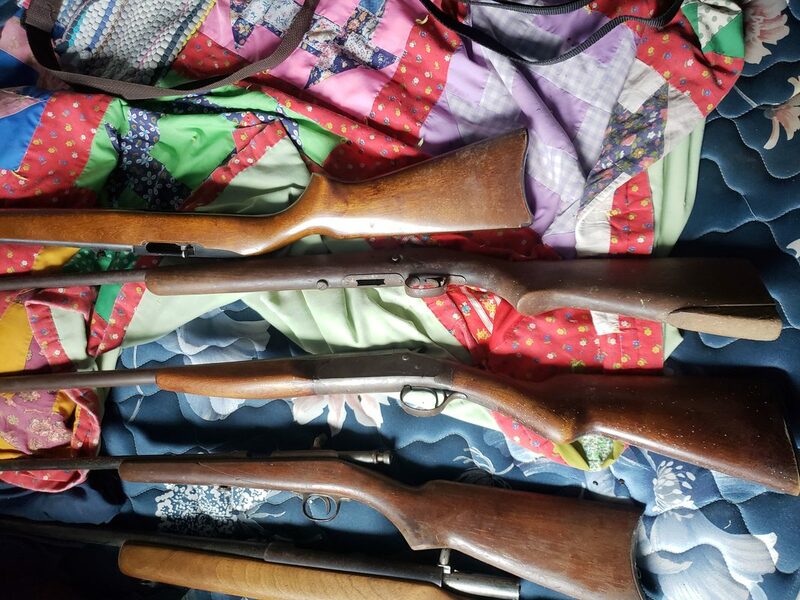 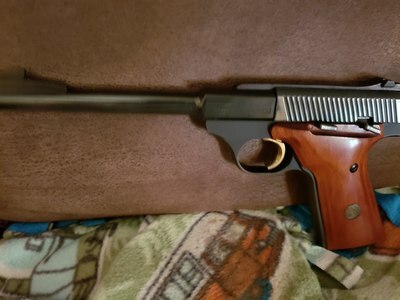 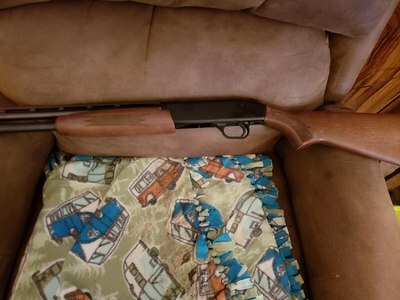 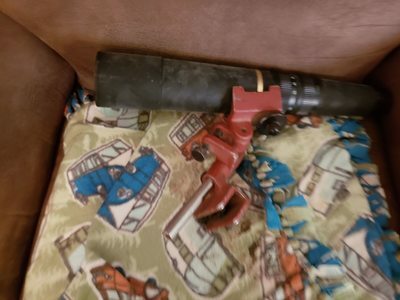 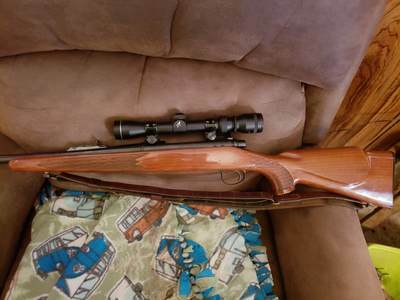 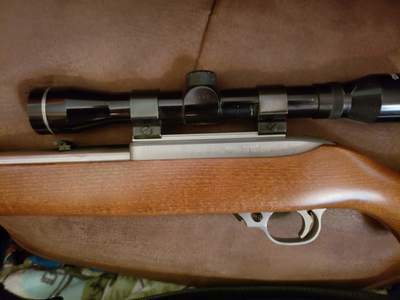 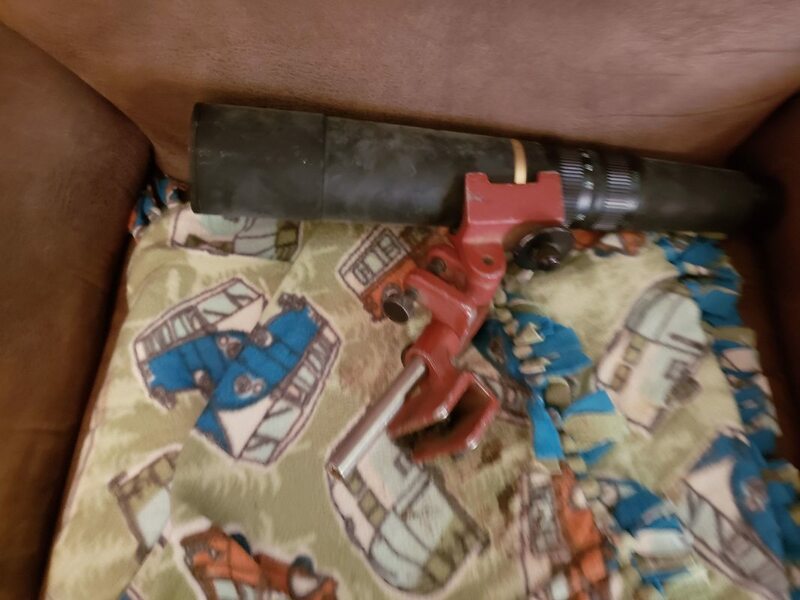 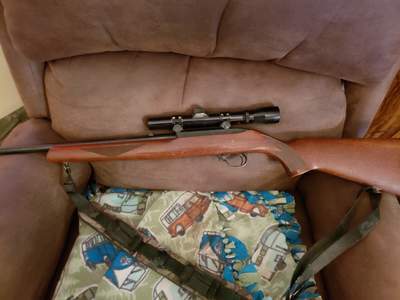 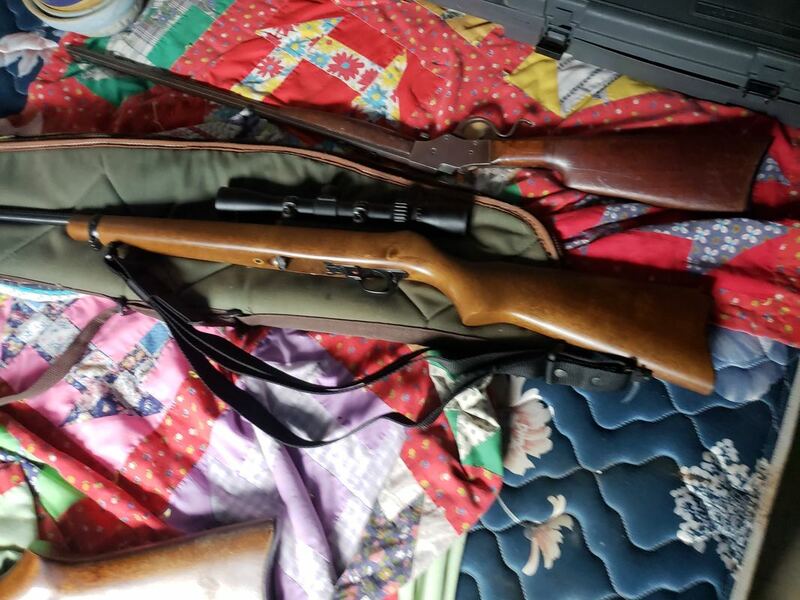 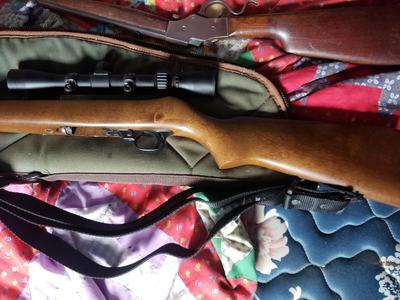 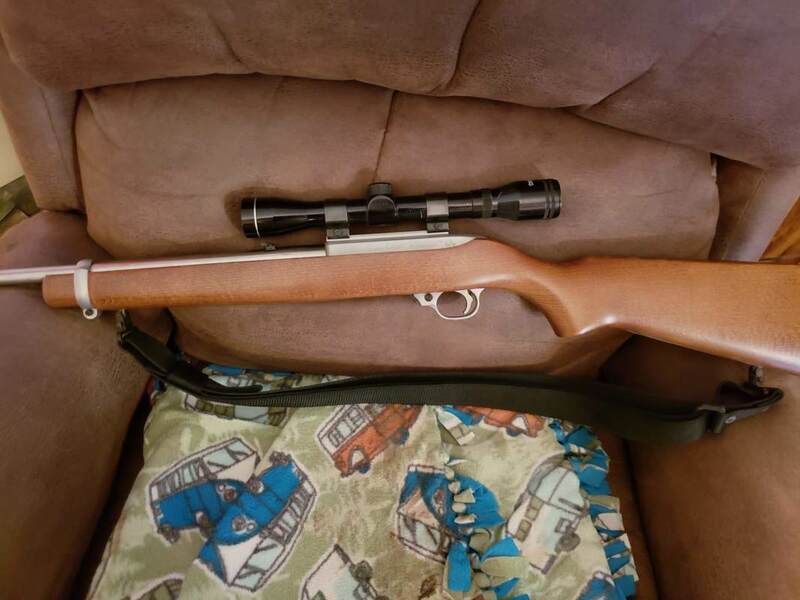 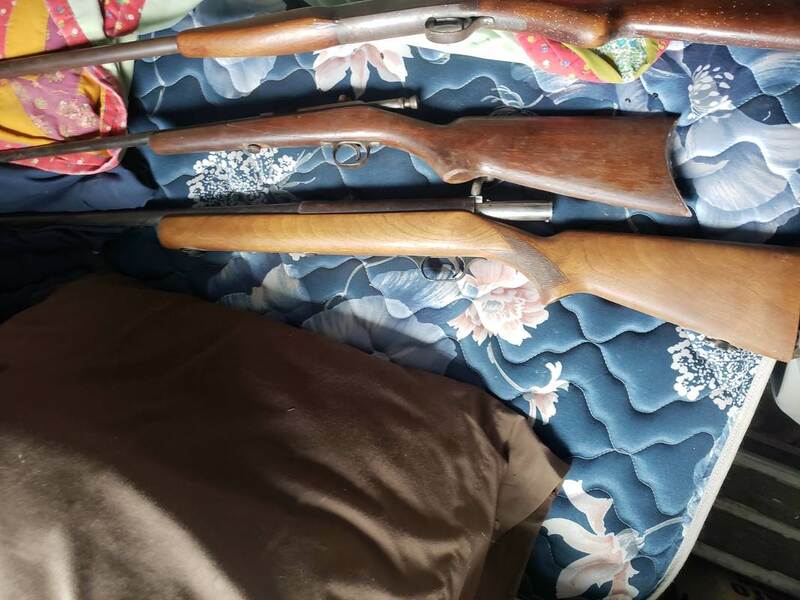 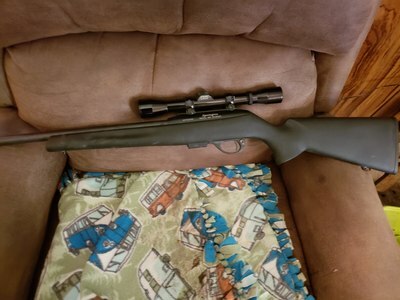 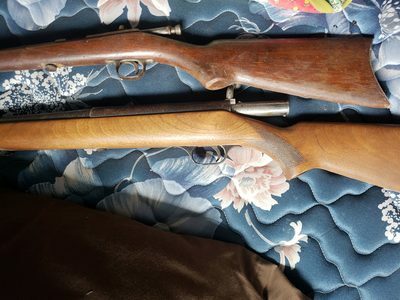 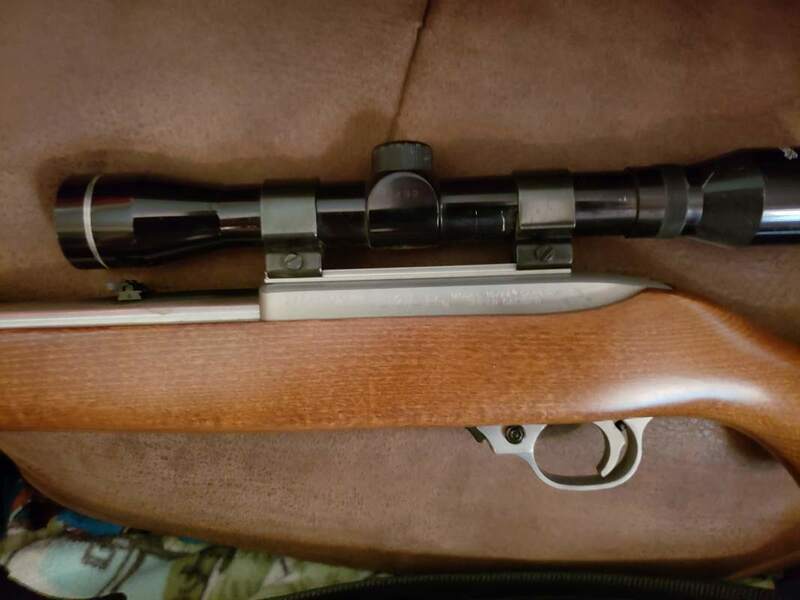 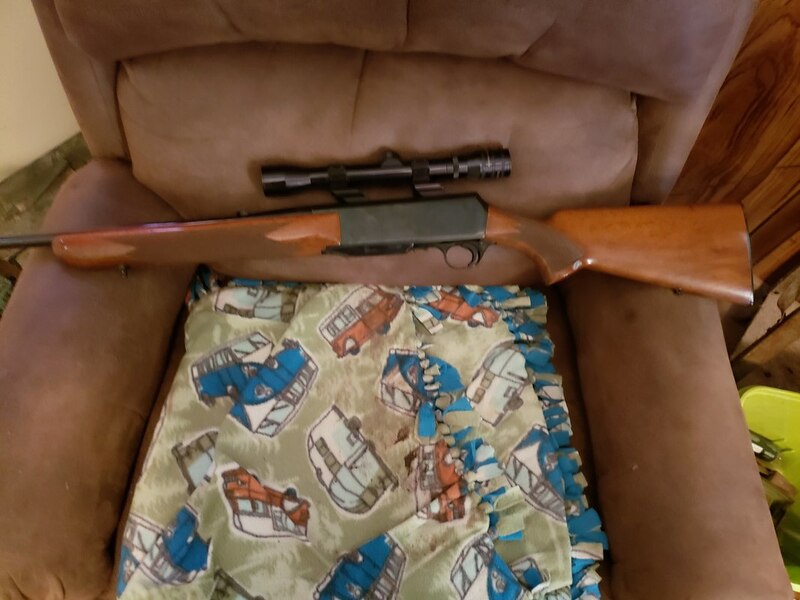 Guns and Sporting items: Browning 22 long pistol, Remington Sportsman 58 12 gauge, Mosberg 410, 870 Remington Express 12 gauge, 2- Ruger .22 with scope, Remington model 597 Magnum w/scope, Remington model 700 w/ scope 25-06 & bolt, Browning 308 w/scope, Stevens .22 cal tip up single shot pistol, .380 semi auto pistols new in box, Ruger stainless 357 Mag revolver, Winchester model 1894 rifle octogon barrel, 12 gauge double barrel muzzle loader, Winchester model 37 12 gauge, Winchester .22 very old, Steven 237A, New Haven .22 old, Scout shot gun, Winchester model 69-22, Stevens .22 long lever w/ octogon barrell, Ruger 10-22 w/ scope, gun case, lots of ammo, ammo box. 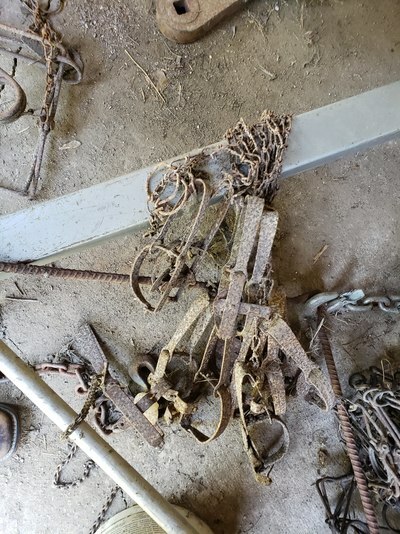 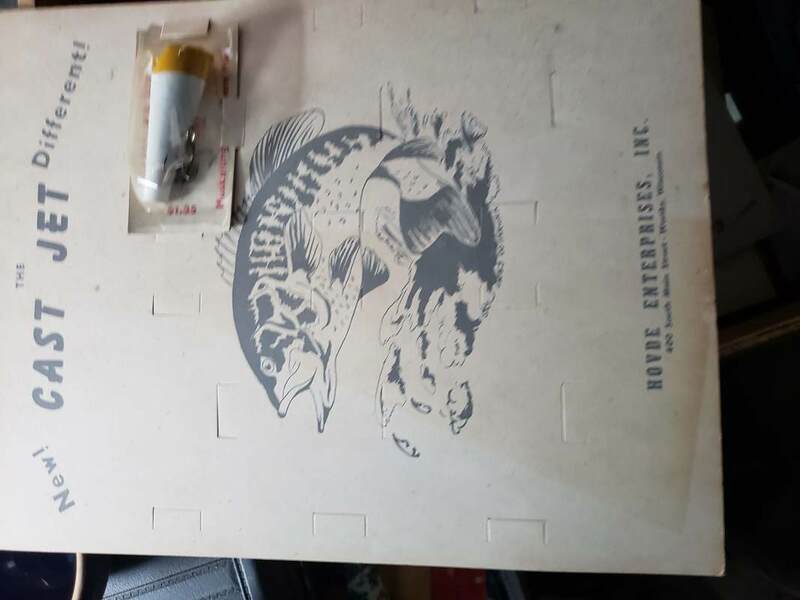 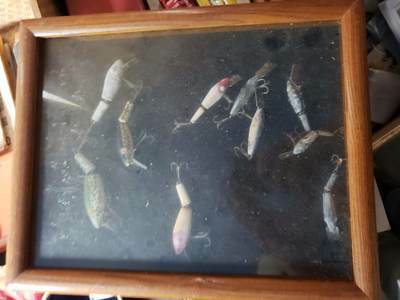 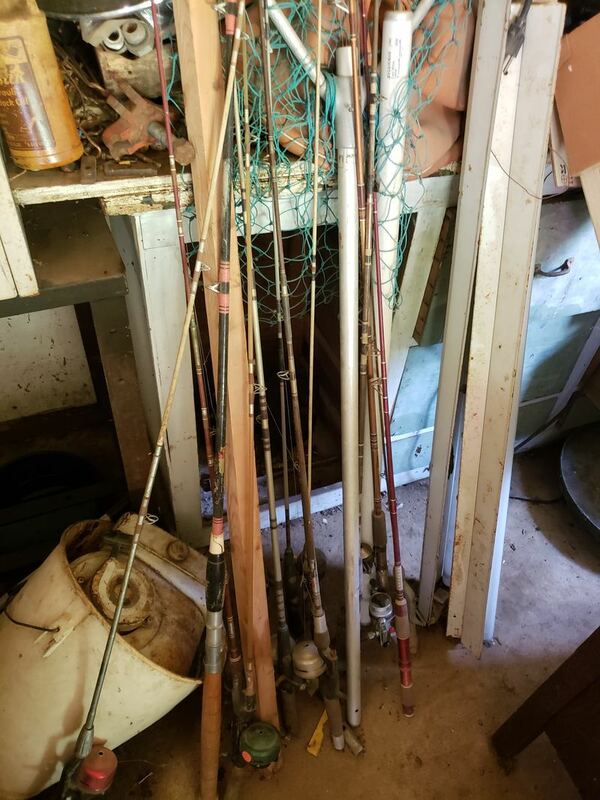 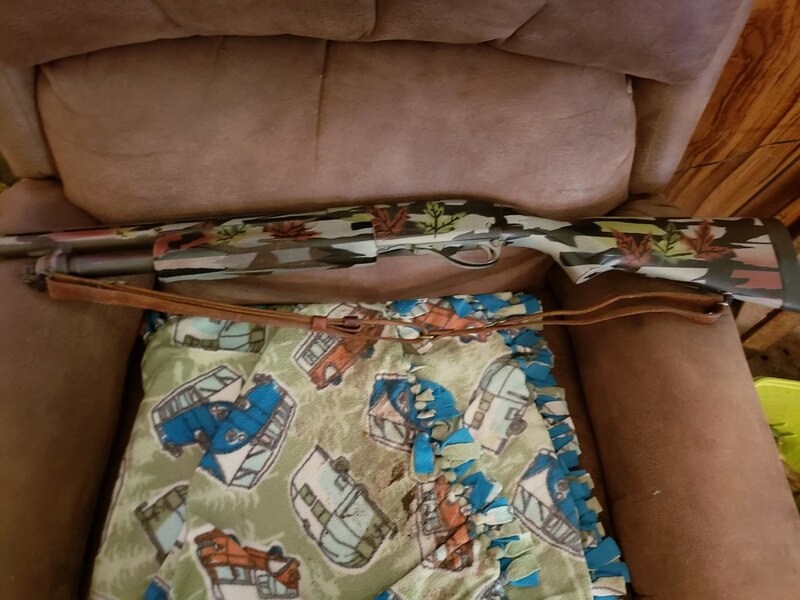 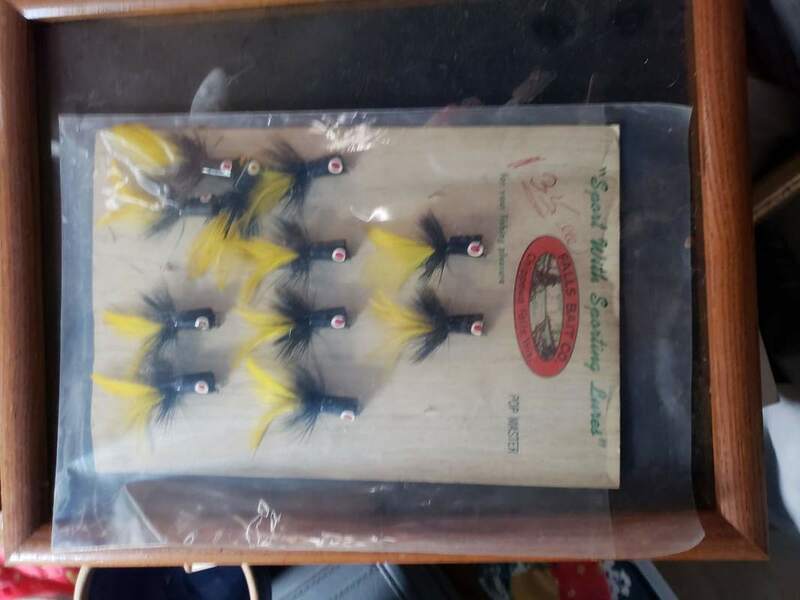 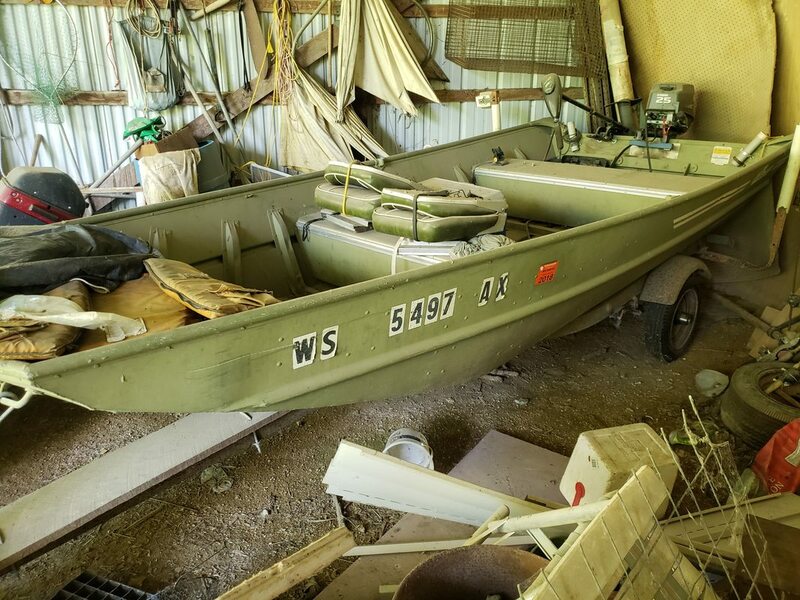 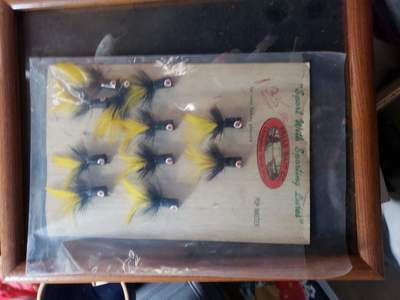 Fishing poles, fly rods, tackle boxes w/ tackle, bow and arrow, pocket and hunting knives, old fishing lures, lots of traps, wire cage traps.